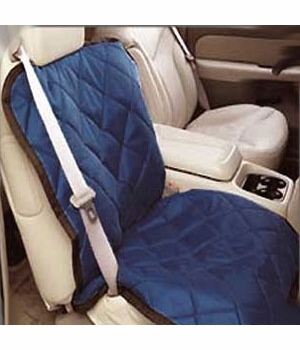 Warning: Do not install these seat covers on seats equipped with seat mounted air bags or integrated seat belts! These versatile pet seat covers by Covercraft are quilted to a heavy-duty denier waterproof backing to help control the unexpected. Pet seat covers by Covercraft are universal patterned for a no hassle fit for your vehicle. Protect your interior from pet hair, scuffing, scratches and those little accidents with this new vehicle pet seat cover. 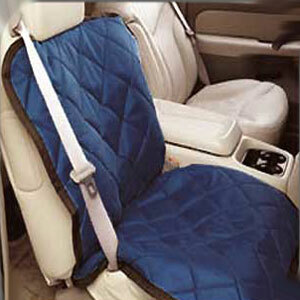 These vehicle pet seat covers by Covercraft allow your vehicle to be both pet and passenger friendly. The thick insulation fill is covered by rip-stop nylon and PVC-backed polyester to help keep your interior looking and smelling like new by keeping paw prints, hair and drool off your seats.